Annual and perennial flowers serve as colorful additions in the home landscape. These two types of plants differ in the length of their life cycles. Perennial plants return each year to produce new foliage and flowers after dying off above ground level during the winter. Annual flowers survive for only one season. The most beautiful gardens feature a mix of both annual and perennial flowers to provide consistent color throughout the growing season. The most prolific garden enthusiasts will tell novice gardeners to mix perennials and annuals in the flower garden. The premise behind this mixture begins with basic flower garden design. 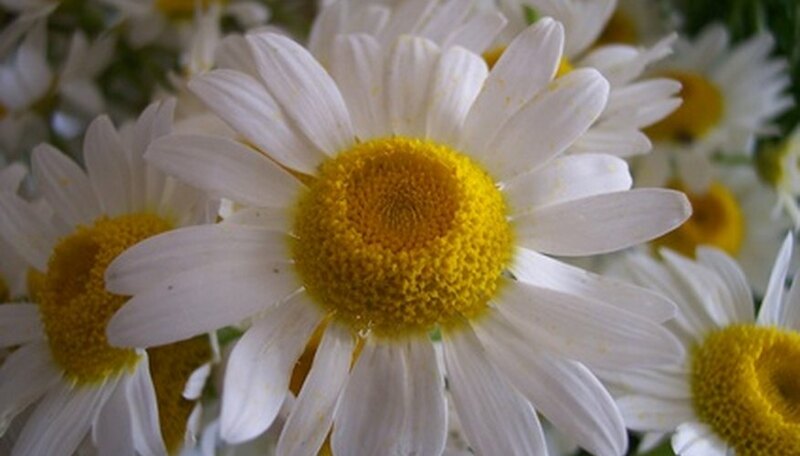 Flowers blooms at different times of the growing season depending on the particular characteristics of each plant. Perennials tend to bloom for a set 2- to 4-week period and then decorate the garden with remaining foliage. Mixing annuals into the flower garden allows for consistent color between perennial blooming periods. Creating a good mixture of these two types of plants allows the garden to always look its best despite varied blooms times. Perennials return to decorate our garden beds every year. These hardy plants produce blooms during the warmer months, loose flowers and then go to sleep for the winter months. Perennials often expand quite readily in the garden bed, allowing gardeners to divide and transplant to create additional clusters of perennials. Perennials save gardeners considerable money since these plants don't need to be purchased each year. Choose perennials based on foliage as well as flowers when designing the flower garden. Annuals serve as the workhorse of the ornamental flower garden. Just pop a few sturdy annual plants into the garden and you've got color to last the entire growing season. 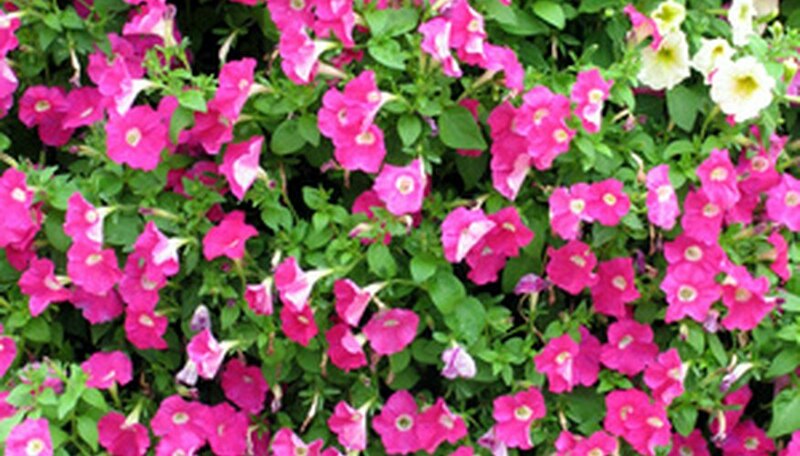 Annuals perform an entire life cycle in one growing season. A few months takes this plant from seed to a mature plant that dies off with the first hard frost in the fall. Annuals feature brilliantly colored flowers that typically last for quite a while. These plants respond well to deadheading to remove old blooms and foliage. The pleasing result leads to a bushier, fuller annual plant that produces even more flowers. Perennials should serve as the foundation plants for the flower garden. Anchor the garden with a variety of plants that bloom at different times. Blend annuals into the garden bed to add splashes of color that complement existing perennial colors. 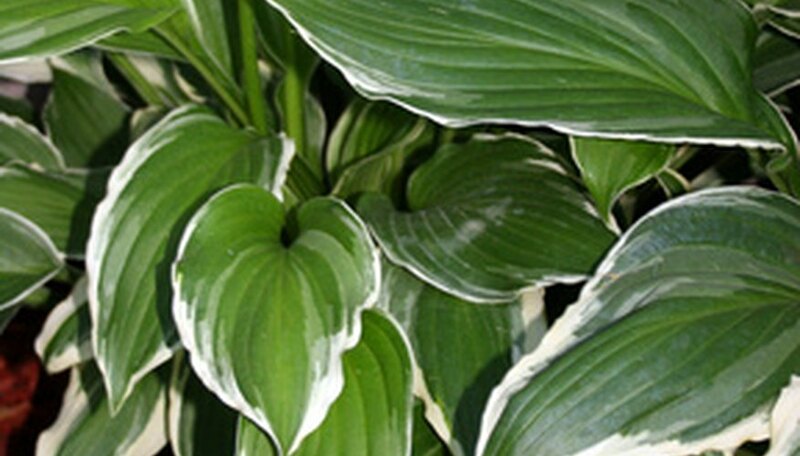 Perennials often offer consistently beautiful foliage so also consider complementing foliage with annual flowers. Gardeners prize hosta and fern plants for the dramatic foliage. Pair these two plants with shade-loving annuals for a truly stunning floral display. All plants require care and maintenance to thrive in the garden environment. Perennials require pruning after blooming is completed, and many also need a good layer of mulch applied in the fall to protect the plant roots from winter freezes. Perennials can become quite overgrown without proper pruning, so this maintenance must be completed regularly to ensure a groomed garden. Annuals require planting each year, and this task can be major in larger gardens. When fall rolls around, annuals must be dug up and thrown away to discourage burrowing of garden rodents. Both perennials and annuals require consistent soil moisture and organic content in the soil. Protect your investment by adding soil conditioner such as peat moss or compost to the soil to improve the strength and flowering capabilities of these beautiful plants. Texas A&M University Extension: Annual, Perennial, Biennial?